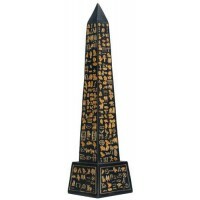 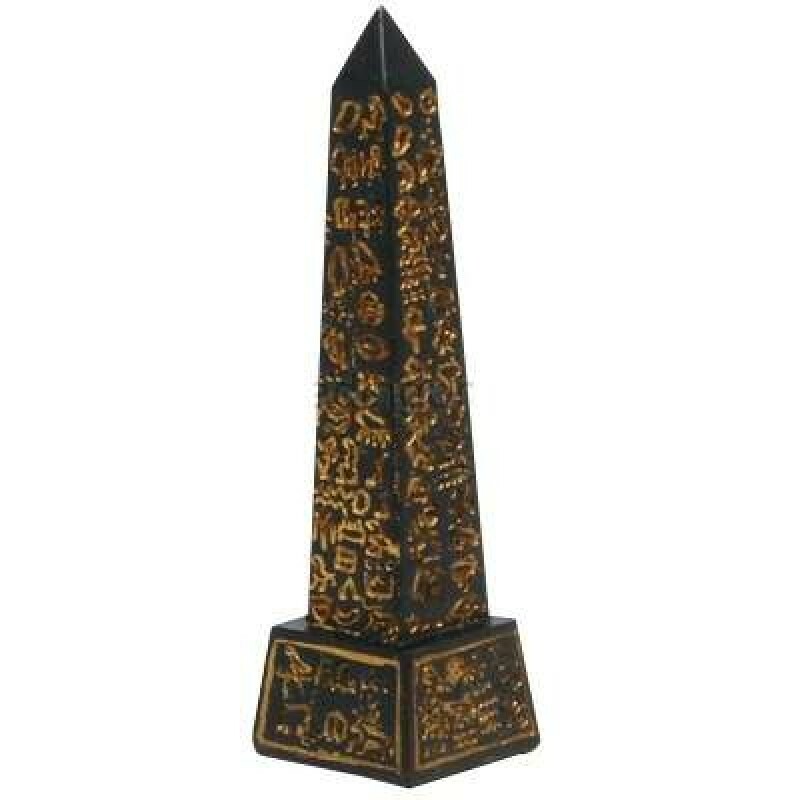 Obelisks were often used as commemorative monuments in Ancient Egypt. 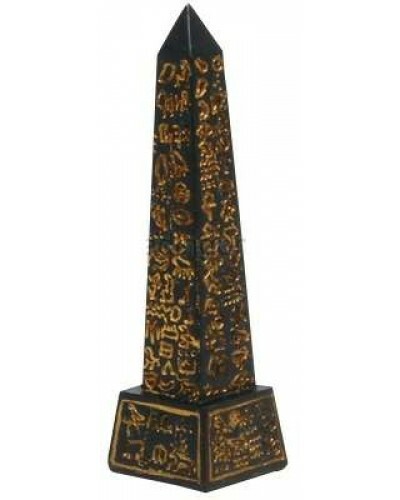 This one is 3 inches tall. 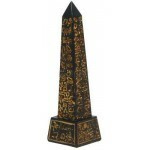 Made of black cold cast resin with gold heiroglyphic detail, it is 3 inches tall. 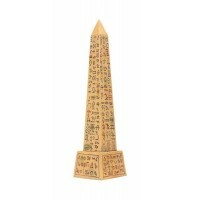 Item Number: PT-9527 | Approximate Size (Inches): 1.75 wide x 1.75 deep x 3.00 high | Approximate Shipping Weight: 0.50 lbs.